You may remember The Vapors, who had a Worldwide Hit in 1980 with ‘Turning Japanese’ which was taken from their debut album ‘New Clear days’. They were discovered by The Jam bass player Bruce Foxton whilst playing in a pub in Guildford. He liked The Vapors so much they were invited to support The Jam on the Setting Sons Tour. Bruce along with Paul Weller’s Father John undertook Management duties for them and suddenly they were playing in front of thousands of people and preparing to launch their first album. After signing to United Artists their big break came with the release of ‘Turning Japanese’ in 1980 which rocketed to Number 3 in the UK charts, Number 1 in Australia and Billboard Top 40 in the USA. They hit the road in promotion of the single and album and toured extensively throughout the UK, Australia and the USA. After their second album ‘Magnets’ was released United Artists were sold and our journey came to an end in 1981 after their new record company lost interest. In 2016 they got an offer to reform The Vapors for 4 gigs in the UK/Ireland. They weren’t sure what the response would be after 35 years but happily the gigs sold really well with the London date selling out in a matter of days. Onward into 2017 and they are still gigging as The Vapors and have already completed a sold out show at the 100 Club, played a show with ‘The Skids’ at London’s legendary Roundhouse and are looking forward to a number of festivals and shows throughout the Summer and Autumn. 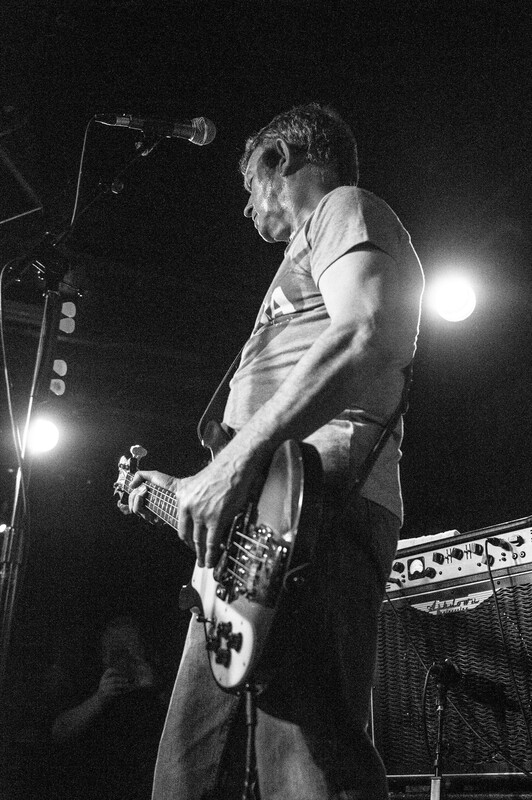 Bassist Steve Smith swears by his Rickenbacker and Rotosound RS66LD strings.